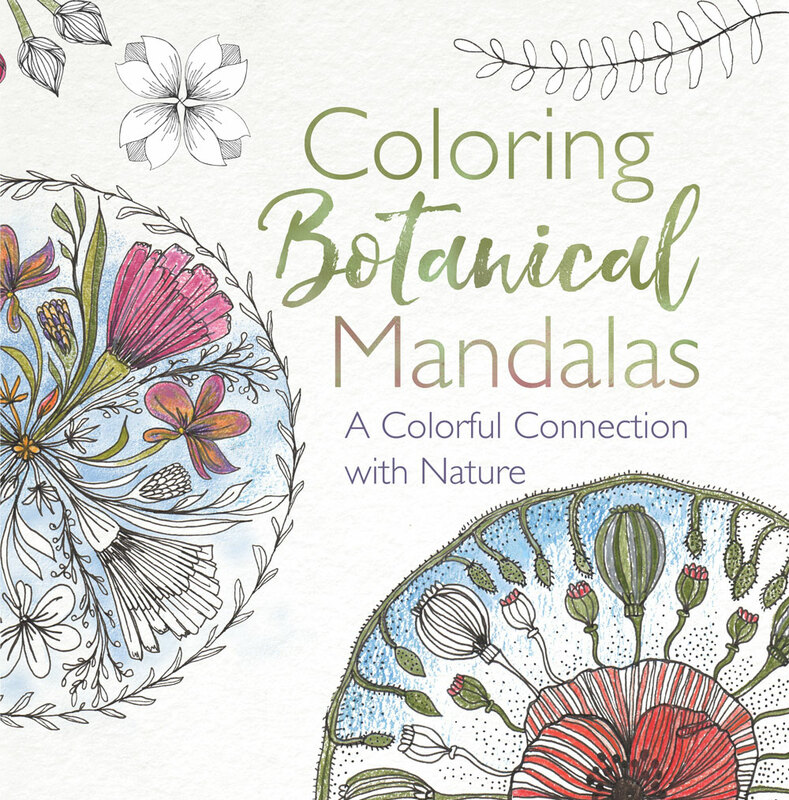 Recharge your connection to nature through the mindful practice of Coloring Botanical Mandalas. The practice of coloring has been proven to calm the mind, lower blood pressure and create a personal meditative experience. A large range of designs from simple blooms to more complex and intricate illustrations. Includes designs with intentional white space for you to add your own favorite details in pen. Melt away the stress of your day, using colors that bring you joy. Color Botanical Mandalas and feel your colorful connection with nature! Reconnect back to nature by taking breaks from technology and enjoy the calming process of coloring. Be inspired to explore colors in nature to use in your coloring practice. 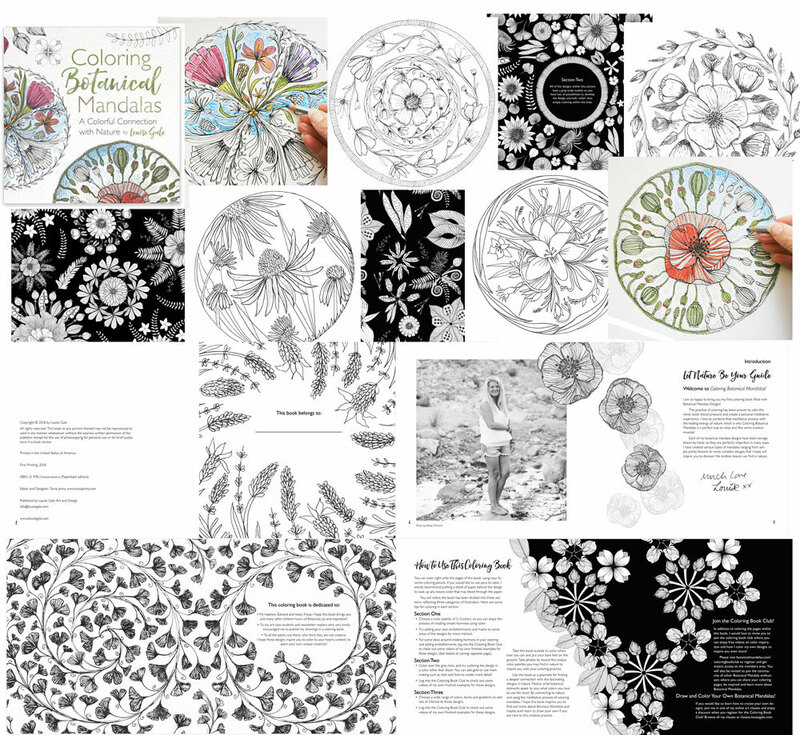 Here is a little peek into some of the pages in the book – there are over 60 Botanical Mandala design and other pages to color too! When you buy the book, you will get access to the bonus items here and any future book bonuses I create. Come back to this page and register your purchase. You will then receive an email inviting you to the Coloring Book Club + all the Bonus Content* + Special Offers! *When you register, you will be automatically invited to the Facebook Book Club. Please note that the Book Club Members area/bonuses will be open from January 7th. If you have already purchased my book – THANK YOU! Don’t forget to join the Coloring bookclub to receive all the video companions and bonuses! If you have not already done so, click below to register your purchase with me and I will send you all the details! Register your book purchase here and get access to the Coloring Book Club Goodies!